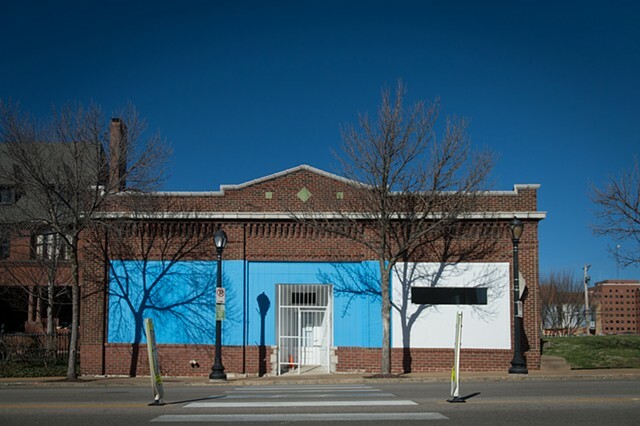 A Way, Away (Listen While I Say) begins by marking the building at 3721 Washington Boulevard, which has been slated for demolition. Painted gold by people who, whether as neighbors, occupants, or others, have a relationship to the site, the building is at once honored and shrouded by color—highlighting the final moment in its storied life. These golden bricks offer questions and a visual analogy regarding the preciousness and value society may or may not place on material and community.